Simplify and speed up the coding process with this one-stop, cross-coding resource developed for those who work for physicians, hospitals, or payers. 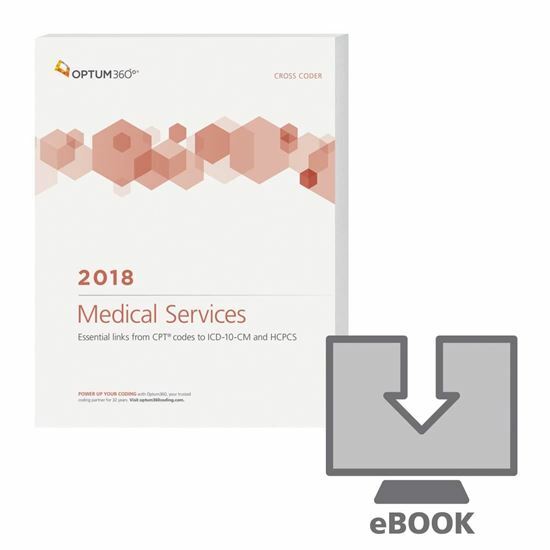 This easy-to-use manual provides essential links fromthe medicine CPT® codes to other associated CPT codes and appropriate ICD-10-CM and HCPCS Level II codes. The Medical ServicesCross Coder is sure to help you code it right—the first time! Spend less time correcting claims. Before submitting claims, consult complete CPT®, ICD-10-CM and HCPCS Level II code descriptions that provide clear code explanations and guidance.